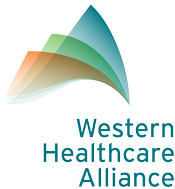 Welcome to the WHA monthly newsletter, your source for member news, current activities and trends that impact healthcare in our rural communities. We are pleased to share our newsletter with you. Our design is easy to read no matter where you're viewing it and is full of member news, recognition, program information, WHA events and more. Have news to share? Let us know! National Rural Health Day is November 15th. Join us in Celebrating the Power of Rural! The WHA and HCM offices will be closed on Thursday, November 22nd, and Friday, November 23rd, in observance of Thanksgiving. Happy holidays! If you do not wish to receive future emails from newsletter@wha1.org, click here to opt-out.